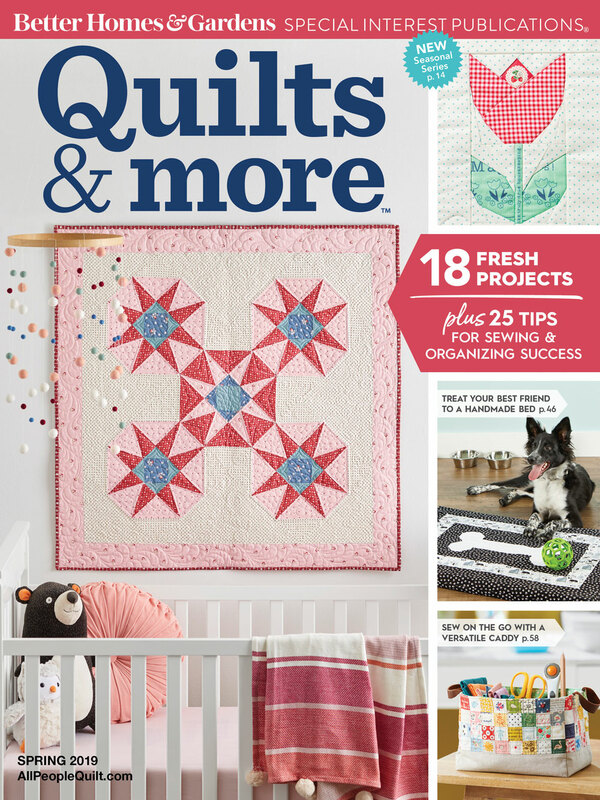 Now that all the quilts are sewn for magazines later this year and before I start something new, my sewing machine is past due to be cleaned and oiled. We don't always think about how much we demand of our sewing machines. We expect them to run perfectly after sewing miles and miles of seams. Last year I sewed almost 20 quilts, most of them full-sized along with dozens of other projects. I really make my sewing machine work! 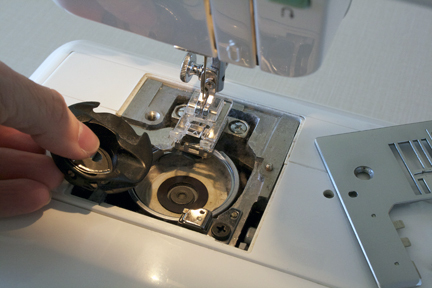 Regular cleanings by a professional are a must -- depending upon how much you sew, yearly is a good rule of thumb. 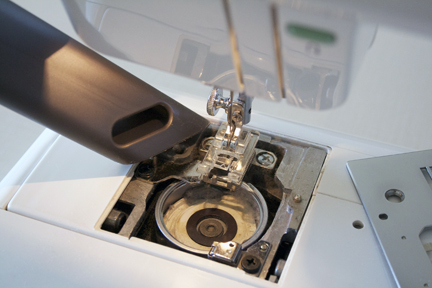 There are some simple maintenance steps you can do to your machine between cleanings to keep your machine in tip top shape. Every time you empty a bobbin is the perfect time to take a small brush or pick and clean out any visible lint in the bobbin case area. Make sure your machine is turned off and poke around pulling out fuzz and lint. thoroughly clean with a brush and vacuum hose attachment to get out all the fuzz and lint packed down in the feed dog area. Thread creates a lot of lint in your machine so always invest in good quality thread. Besides, it is a good idea not only for your machine, but for your projects too, you want the thread to hold up to the test of time as well. Monitor your sewing needle. Never sew over pins, it is a great way to break or bend a needle. Sewing machine needle manufactures recommend to replace your machine's needle every four hours of sewing time. OK, I admit, I don't change my needle anywhere nearly that often, more like after every two quilts. Use the right needle for the type of material you are using.